Dandelions are a type of weed that looks like a flower. Its yellow petals may look pretty in a wild field but others argue it’s a huge nuisance to maintaining a healthy lawn. Dandelions are known for growing in the later months of spring or early summer. These weeds can be relentless and even grow on the healthiest grass. Picking out a few dandelion weeds by hand may seem easy, but over time the problem still persists. Why are Dandelions Bad for Your Lawn? Dandelions are notorious for their recovery and speed at which they spread and take over your lawn. In other words, it only takes one to conquer your lawn due to its fluffy and floating seeds. It’s a type of weed that will continue to grow and multiply faster the longer you wait to kill them. Dandelions will push out grass and other plants, as well as drain water and nutrients away from surrounding plants. This can cause weakening root growth and may lead to brown patches. Picking dandelions by hand seems like the easy answer, but they frequently grow back — especially if you’re cutting them down with a lawnmower. At Weed-A-Way, our FIESTA treatment is an effective dandelion killer and weed control product. Fiesta is made using a mineral based ingredient that is effective, safe, and environmentally-friendly. Its strength is just as potent as traditional treatments without the use of any harmful chemicals. This natural product provides immediate results against unwanted weeds and visible results within days. After the spray is absorbed, your family and pets are safe to walk on your lawn. There are many other types of weeds that may be damaging your lawn. As a certified provider of turf and weed control treatments, we can help eliminate all kinds of weed growth on your lawn. You can rest assured all our products are natural and applied only by licensed and trained technicians. Take a look at our Lawn Care Packages to find the right weed treatment for you! 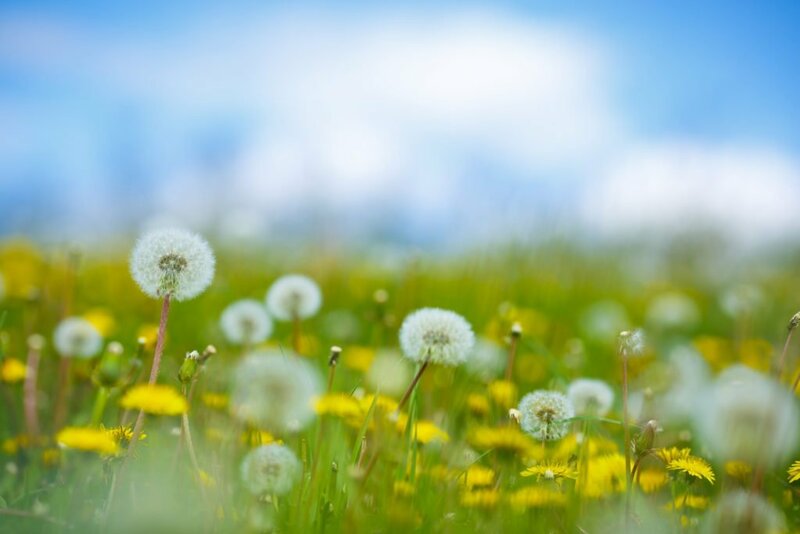 Don’t let dandelions ruin your lawn. If your lawn is overgrown by weeds contact Weed-A-Way or call us 905-858-3100 for more information about weed control and maintaining a green, healthy lawn. Fill out our online application for a FREE quote and evaluation. Let us help you get your lawn back on track! Should I Aerate My Lawn In The Fall? It’s a Weed, it’s a Grass, it’s… Both! Get The Early Bird Special!